Prof. Dr. T. Unnikrishnan is a vocalist and voice trainer of international repute. He has done extensive study and research in voice culture, establishing unique and novel methods to make the subject useful and practical for singers of all styles. He has developed many rare techniques to enhance the quality of voice and to eliminate various voice related problems. He has trained a large number of singers spread over 13 countries, including professional vocalists and playback singers. He has sung for many music albums and South Indian movies. 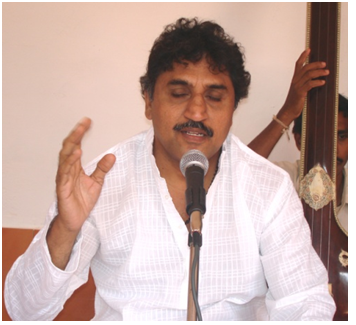 He has also rendered many songs in the Malayalam version of RamanandSagar’s Sreekrishna.He has served at Indira Kala Sangit University, Chhattisgarh, as a Professor, Registrar and Vice Chancellor, and as a faculty member at the Indira Gandhi Cultural Centre, Mauritius on deputation by the Govt. of India. He is a well-sought after voice coach for the ITC Sangeet Research Academy, Kolkata. He has travelled across India and abroad for workshops, seminars and performances. Dr. Unnikrishnan has also served as a guide for many scholars pursuing their Ph D in music, voice modulation and related topics. He is also an expert member for various committees of UGC and many universities. He is the recipient of the prestigious ‘NavarasaSangitaChakravarthy’ award from NavSadhana Kala Kendra, Varanasi, Tagore Memorial’ award from Geet Vidhan Kendra, Chattisgarh and the ‘Sangeetha Bhaskara’ award from Asthika Samajam, New Delhi. He has received advanced training in vocal music from Shri T.M Tyagarajan and Shri. B. RajamIyer, Chennai. Prof Dr Unnikrishnan has authored three books. He holds a Doctoral degree in Music, in addition to Masters in English Literature and Clinical Psychology.